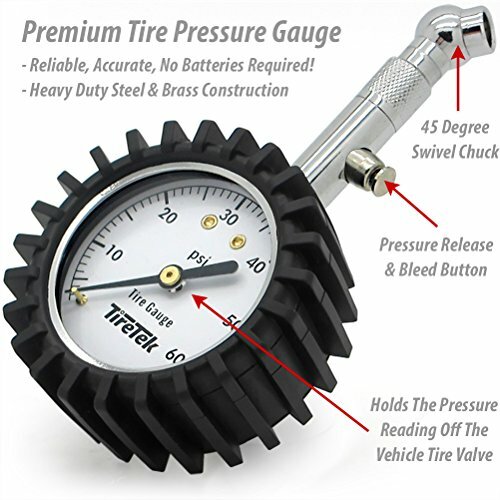 TireTek Automotive Tyre Pressure Gauge Gift Set – Includes Car Tyre Pressure Gauge, Tread Depth Gauge and Valve Caps – Best Car Accessories Pack For Tyre Maintenance | PHDsmart Ltd. 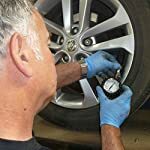 WORRIED ABOUT TYRE WEAR? 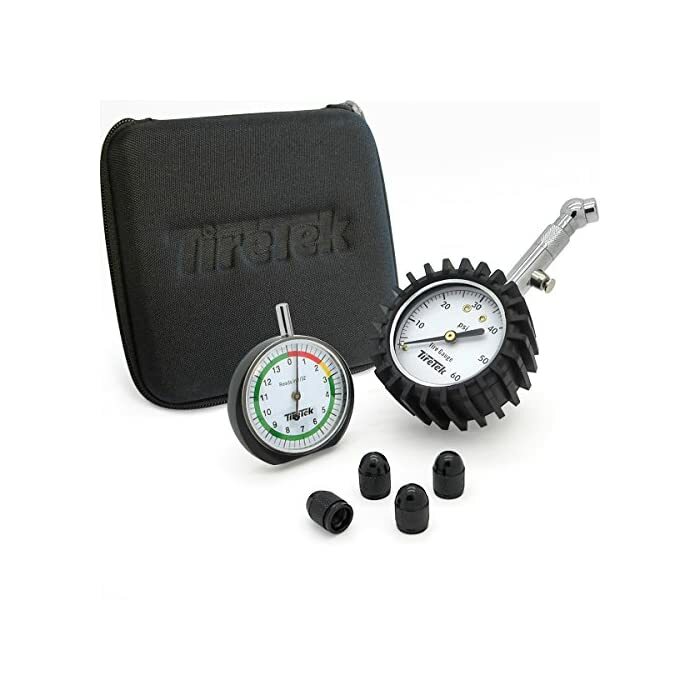 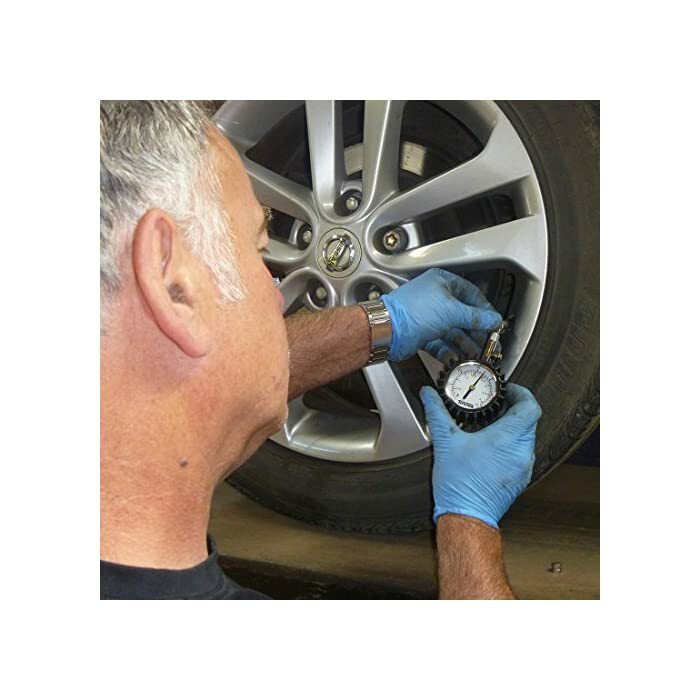 – Make sure your tyres are safely maintained by using this automotive tyre pack including the popular Premium Tyre Pressure gauge, an easy to use colour coded tyre tread measurement tool and 4 spare aluminum valve caps. 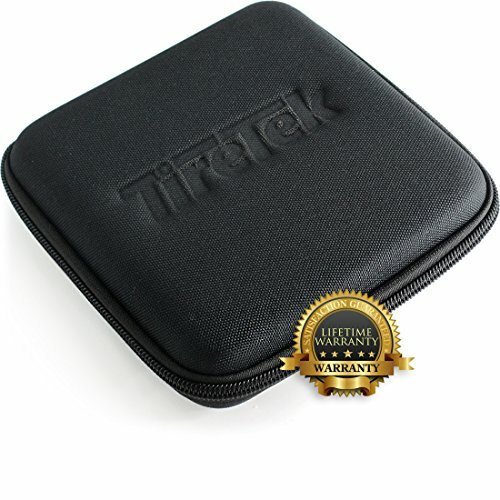 All securely stored within an attractive zippered case. 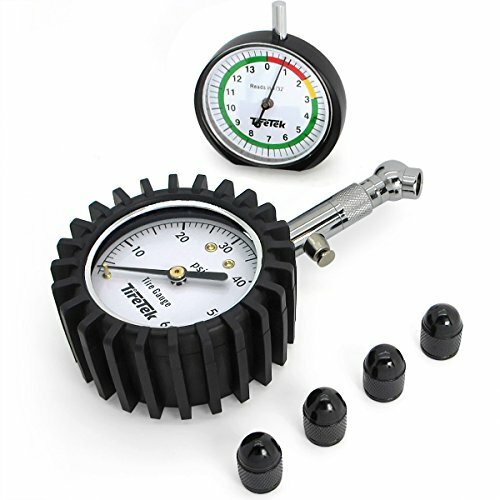 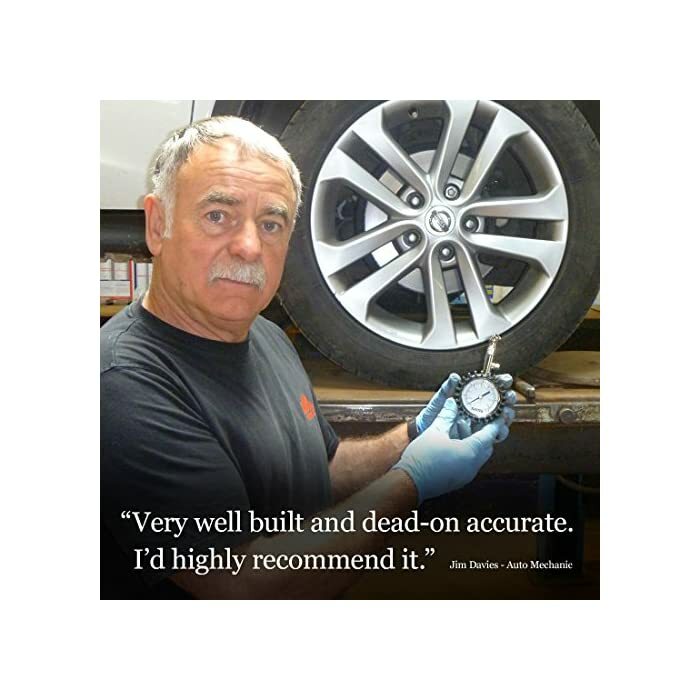 RECOMMENDED BY MECHANICS – Our tyre pressure tool and tyre tread indicator are robust and built to last. The pressure gauge has an extended swiveling 5mm chuck tip so you get a great seal with no air leakage and includes an integrated bleed button making air pressure adjustments a breeze. 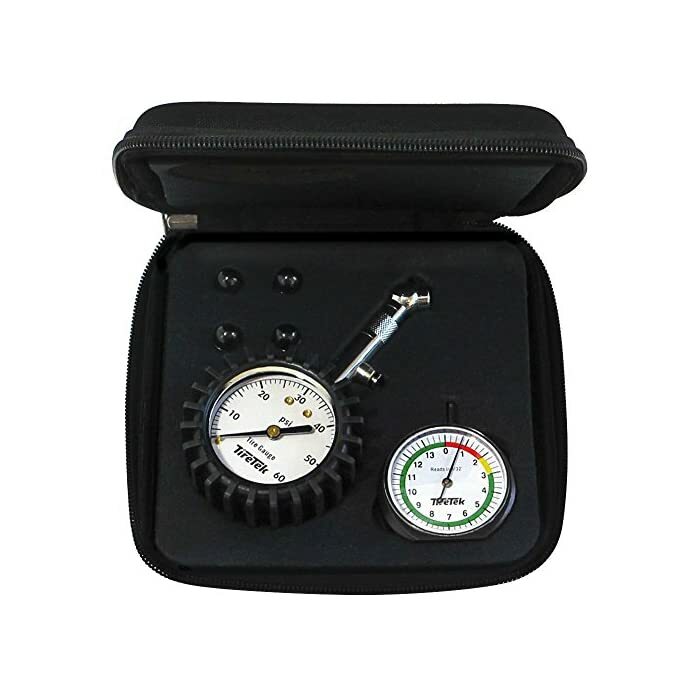 NO BATTERIES REQUIRED – This top rated, reliable, professional tyre pressure monitoring system is easy to use and will work in all weather conditions. 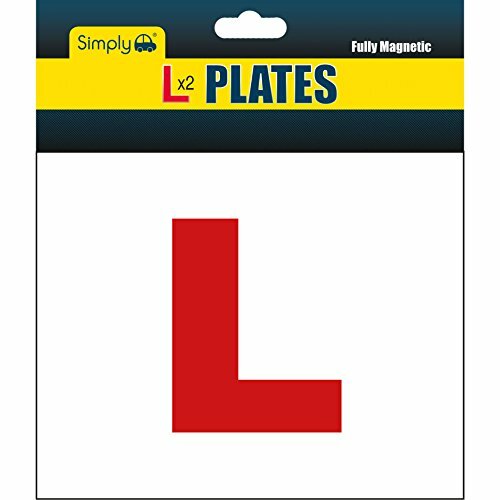 A perfect accessory for your car, motorbike, 4×4 or bicycle. 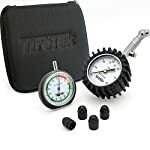 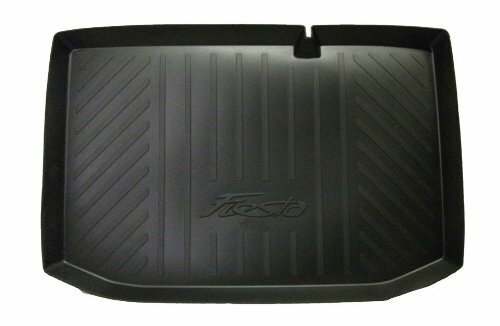 Why buy the TireTek Tyre maintenance Set? 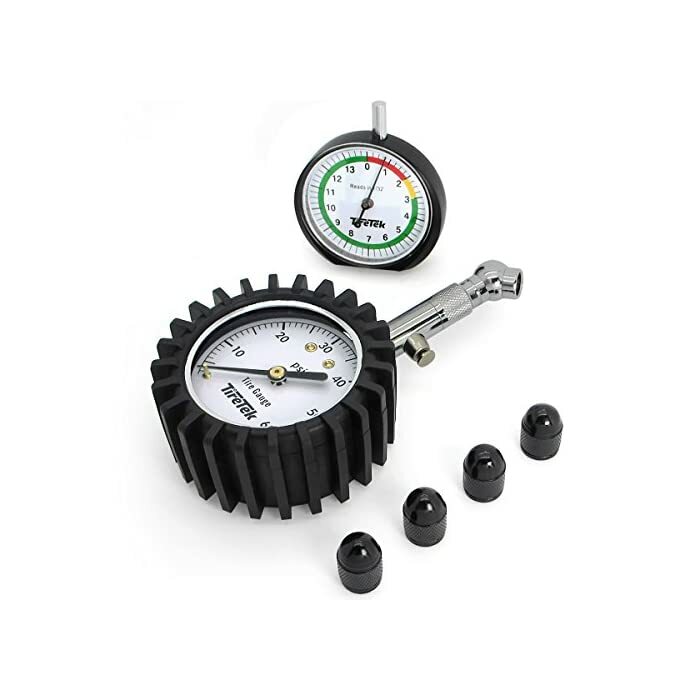 MECHANICAL GAUGE – NO BATTERIES NEEDED! 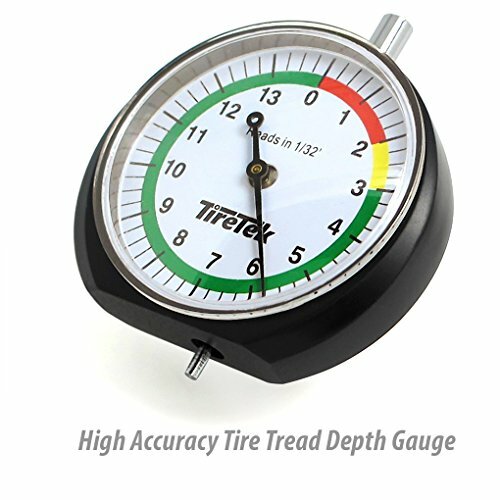 An easy to use tyre tread depth gauge lets you quickly measure your tyre’s tread to make sure its at a safe level. 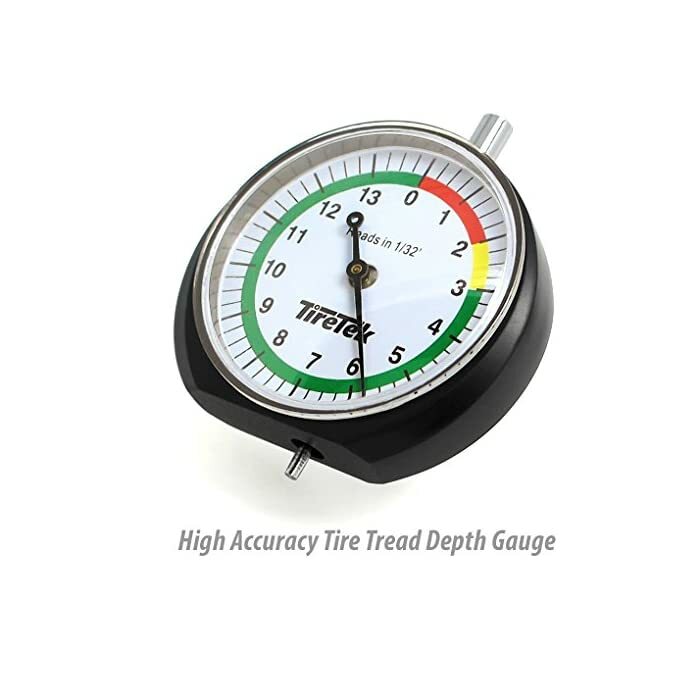 We have even included a colour coded scale on the gauge so you know when your tyres are wearing too low. 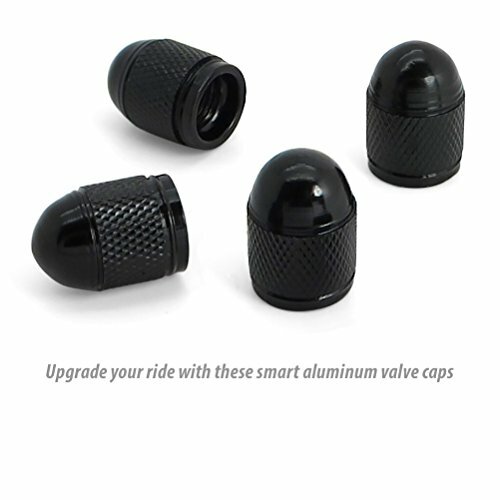 Four aluminum valve caps are also included in case you loose your current valve caps or just want to replace your current plastic ones. 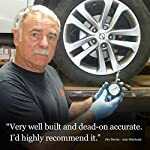 What’s more, when you buy today you’ll enjoy our no-quibble LIFETIME PRODUCT WARRANTY (yes really!) 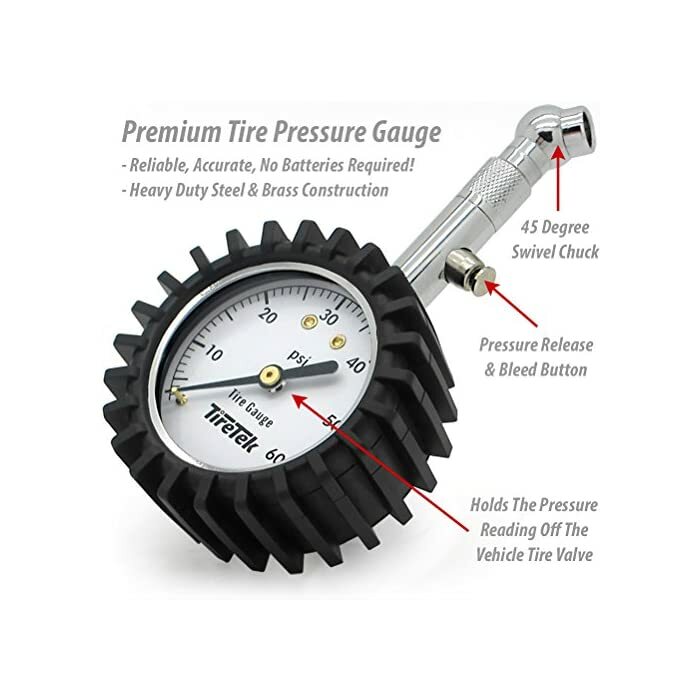 Simply click the ‘Add To Cart’ button above. ACCURACY ASSURED – Our gauges are calibrated to ANSI B40.1 Grade B (±2%) international accuracy standard so you get a precise, accurate pressure reading every time you use it. 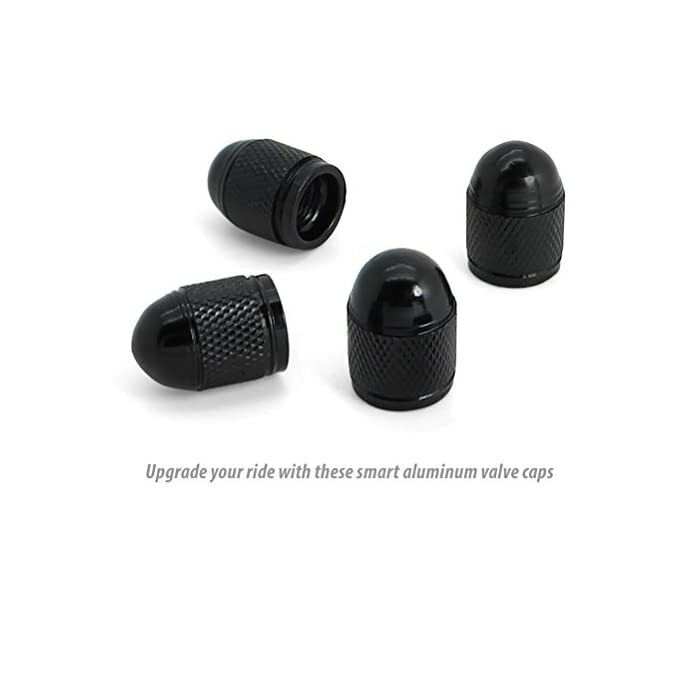 SUPERIOR IN QUALITY – The perfect gifts for men or women, ideal for Birthdays. 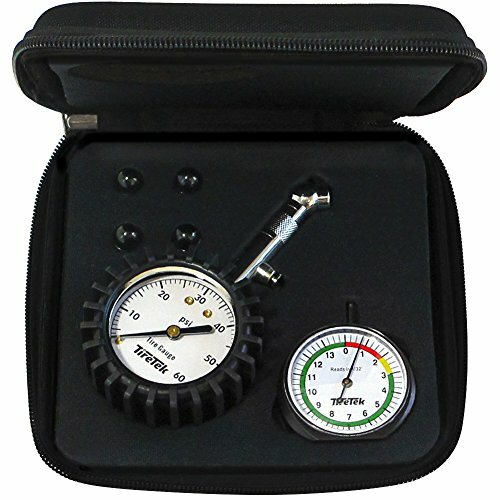 The best car accessory kit set. Add To Cart with confidence today and benefit from our better than money back LIFETIME GUARANTEE. 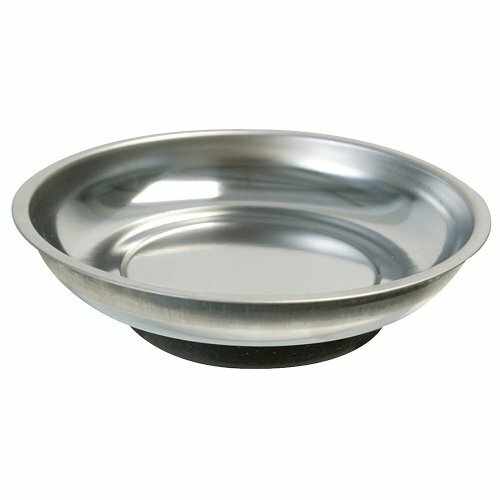 No catches. 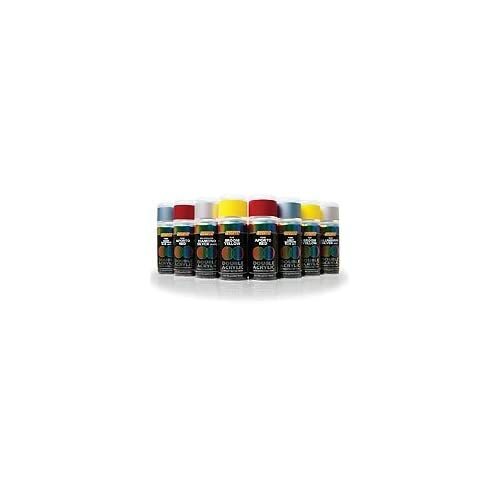 No hassles. 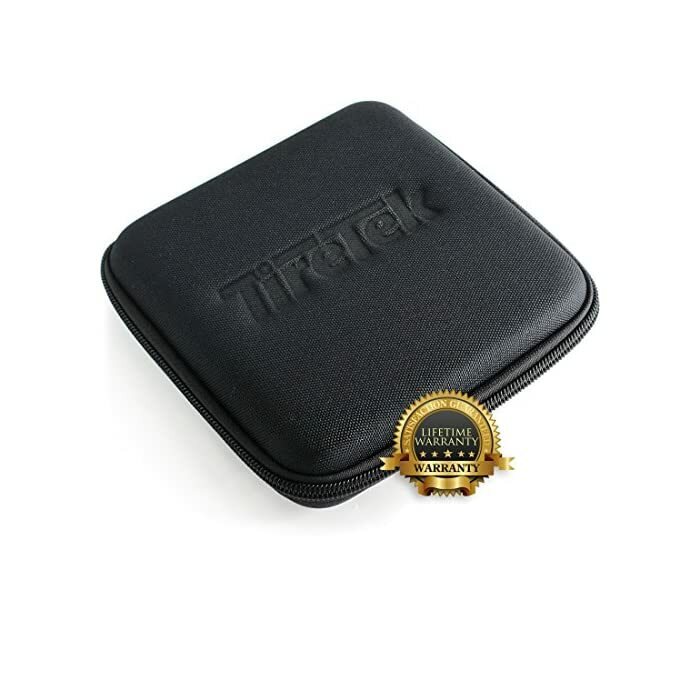 You’re always protected. – GRAB IT NOW – On Manufacturer’s Special Today.